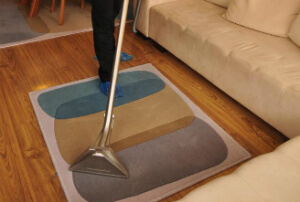 Anfield L5 Deep Carpet & Rug Cleaning Company | Quality Property Care Ltd.
Use this phone number 0151 673 0008 do get to our professional rug cleaning customer support specialists. They are available for your demands! Organise the deep carpet cleaning services right away - it is appropriate for domestic and commercial buildings as well! This procedure is appropriate for natural and some synthetic elements and can remove oily and greasy stains from long and short fibers without leaving a trace. 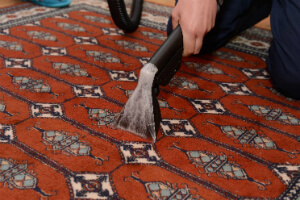 To properly clean an affected and stained area of your rug or carpet, we hoover the place to take out any debris. This agitates the stain and enables us to more easily extract the filth later on. Solids are removed and the spot is pre-treated with a specific detergent which fits the chemical construction. It helps the hot water extraction method dissolve the stain and leave no footprint. If the carpet allows it the spot is blotted so it better accepts the detergent. Once done the cleaners employ a special hot water extractor which blasts the spot with hot water while at the same time drawing all of the filth and 95% of the moisture out. The pressure and heat of the process, combined with the pre-treatment remove 99% of the stains with full stain removal if it’s quite new. Old and set stains are almost impossible to be completely removed, so acting quickly when the stain occurs is paramount to its proper extraction. There is some leftover moisture from the method, which will evaporate safely within 3-4 hours, even fewer if you reserve our air movers. Steam carpet cleaning: hot water extraction procedure with deep action. The method is perfect for synthetic and old carpets. Materials like cotton and silk rarely take well to moisture and heat, this is why we use a dry cleaning method which is a lot more delicate towards natural fibers. Once the stain occurs be sure to act quickly and blot out if it’s a solid one. Remember to work with a colourless cloth or a paper towel and start from the ends in to prevent the stain from spreading. This way you not only remove any moisture but also some of the spot with it. If its color don’t let it dry or it will be impossible to remove, you have to keep the stain wet for our cleaners to be able to eliminate it fully. Once there they wash the spot with a hoover to take away any solids and draw out as much as possible. Afterwards a fine brush is used to imbed our fine granulated dry detergent into the fibers of the rug or carpet. The detergent binds with the stain taking away any leftover moisture and cutting its bond to the fibers of the spot. To avoid colour bleeding into the fibers we leave the detergent to sit for 12 mins. Once the time us up the detergent is draw out and along with it all of the dirt it has attached itself to. There are no leftovers as a strong vacuum machine is used to complete the procedure, leaving nothing behind aside a clean carpet or rug. Book anytime by dialling 0151 673 0008 or posting a booking form on our web site. Get in touch with us with no hidden fees and any commitments.